PT Infomedia Nusantara - Infomedia or widely known as "Infomedia by Telkom Indonesia" is a reputable data and information services company in Indonesia. PT Infomedia Nusantara has core business focus on business process management (BPM) services. PT Infomedia Nusantara has its business activities focused in four sectors, namely business process outsourcing, customer relationship management services, information technology outsourcing, and knowledge process outsourcing. PT Infomedia Nusantara is an integral part of state-owned telecommunication giant PT Telekomunikasi Indonesia Tbk (Telkom Indonesia). 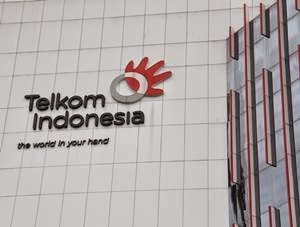 Telkom Indonesia holds 100% shares in PT Infomedia Nusantara. The Company was first established in 1984 under the name of PT Elnusa Yellow Pages. Later in 1995, the Company was officially organized under the name of PT Infomedia Nusantara. PT Infomedia Nusantara now has 1 subsidiary company, namely PT Infomedia Sulusi Humanika with core business in human resources (HR) services. According to PT Telekomunikasi Indonesia Tbk Annual Report 2016 as cited by JobsCDC.com, the performance of PT Infomedia Nusantara managed to recorded good performance in the business year of 2016 (ended in 31 December 2016). PT Infomedia Nusantara booked total assets of Rp 1,860 billion in 2016. This total assets figures reflected an 14.67% increase from Rp 1,622 billion in the same period at the previous year (2015). Minimum Bachelor Degree (S1) with GPA > 3.00, majoring in Engineering (IT, Software, Computer, Telecommunication, Electrical/Electronic) or equivalent. Practical experience with IT Service Management Process and Tool Configuration and Administration. Practical experience with Web Technologies (JAVA Script, HTML, AJAX, CSS, HTTP). Have a good knowledge of XML/SOAP/SOA/REST for Web Services integration are desirable. Have strong understanding of networks and IP (traces etc). Minimum 2 years of providing Highly Technical support for complex software applications (deployment, level 2/3 support). Fresh Graduate with exceptional skills are welcome to apply especially that have practical experience in related field. Minimum Bachelor Degree (S1) majoring in Marketing. Minimum 2 years of experience in the field of E-Commerce. JobsCDC.com now available on android device. Download now on Google Play here. Please be aware of recruitment fraud. The entire stage of this selection process is free of charge. PT Infomedia Nusantara - IT Developer, Manager On Line Marketing Telkom Group September 2017 will never ask for fees or upfront payments for any purposes during the recruitment process such as transportation and accommodation.